65% cotton & 35% polyester. 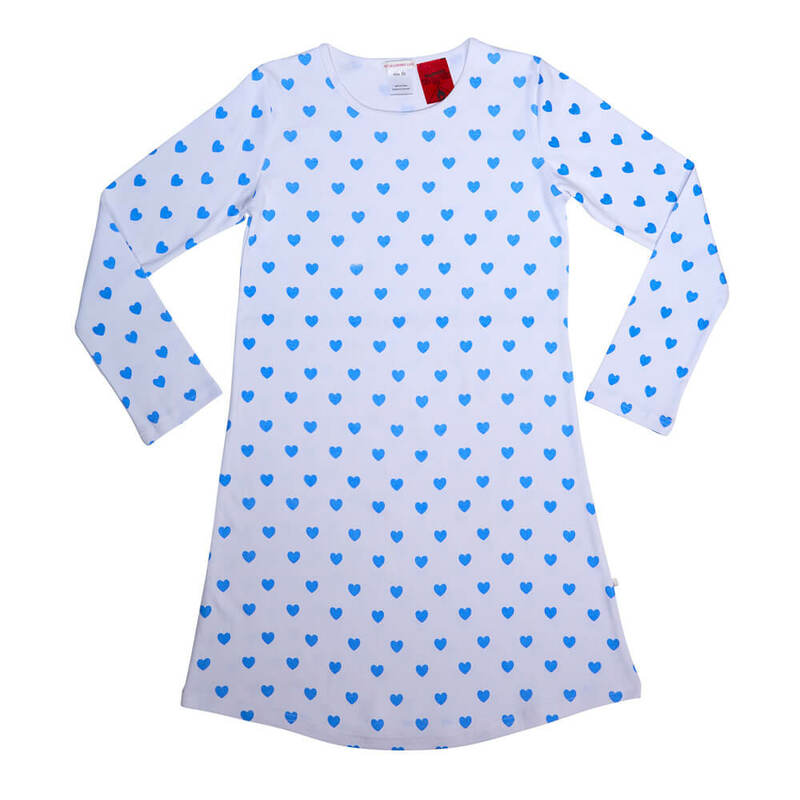 White with Bright Blue Loveheart print on nightie. Perfect for a good nights sleep and lounging around on a Winters day. 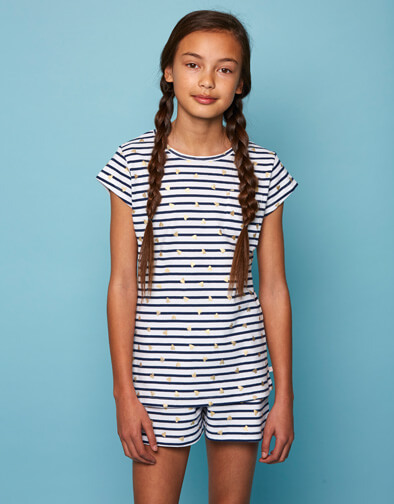 A perfect gift for the teen girl.